Sony's new PlayStation Vita is designed to deliver a big-screen gaming experience on a pocket-sized player. That means high-resolution graphics, fast network play and a library of games that aren't stripped-down versions of a gamer's favorites. For the most part, Sony delivers on all counts. Game play on the Vita is smooth, fast and very responsive. Resolution on the 5-inch screen is better than most mobile phones or Nintendo's DS pocket player. 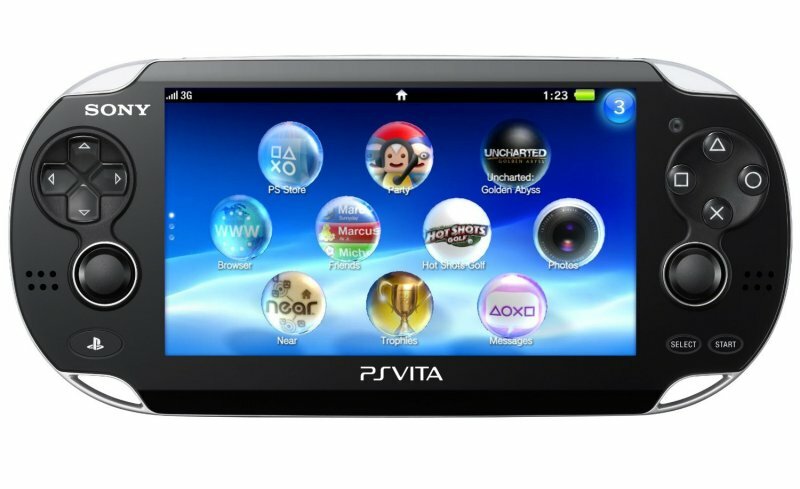 For online play, the $249 Vita connects to Sony's PlayStation Network using WiFi or, for an additional $50, an optional link to AT&T's 3G network. And the quality and quantity of Sony's initial game lineup looks solid. "Uncharted: Golden Abyss" looks and plays like "Uncharted" on the PlayStation 3. The 20-plus titles that were available around launch time included familiar franchises like "Wipeout: 2048," "FIFA Soccer," "Ridge Racer," "Rayman Origins," "Shinobido 2: Revenge of Zen," and "Ultimate Marvel vs. Capcom 3." More games are available for downloading. The packaged games come on memory cards that look like SD cards, but they're not. They use a Sony-only size and format, probably to deter piracy. You'll have to buy a proprietary Sony memory card, which will add to the cost of the system. Again, a standard SD card - or one of Sony's old Memory Sticks - won't work. Yet another annoyance: Even the Vita's charging cable has a proprietary design. Gamers can't plug it into the USB slots on a PS3 to recharge. Other Vita features are more likely to warm their hearts and thumbs. The Vita's play controls are much like those on the PSP: two analog thumb sticks, a D-pad on the right, PlayStation buttons on the right plus a pair of triggers. The screen is also touch-sensitive and, surprise, so is the rear surface. And the Vita has a both front- and back-facing cameras. While the cameras can take photos, they will likely be more important for taking advantage of social networking elements. The Vita comes with a built-in browser and Sony promises to add apps for Facebook, Twitter, and other services. Netflix is also on the "coming soon" list. For now you can transfer movies and music from your computer, but be prepared to encounter more roadblocks. Don't expect the same drag-and-drop convenience that you get with a phone. And that's long been an issue with Sony. The company makes great products, but they're not always easy to use. The Vita is a good example. While serious gamers will probably love it, the rest of us may find it to be more trouble than it's worth.